Dashing Hearts Dark Magenta & Pink Crystals Brooch | Flickr - Photo Sharing! 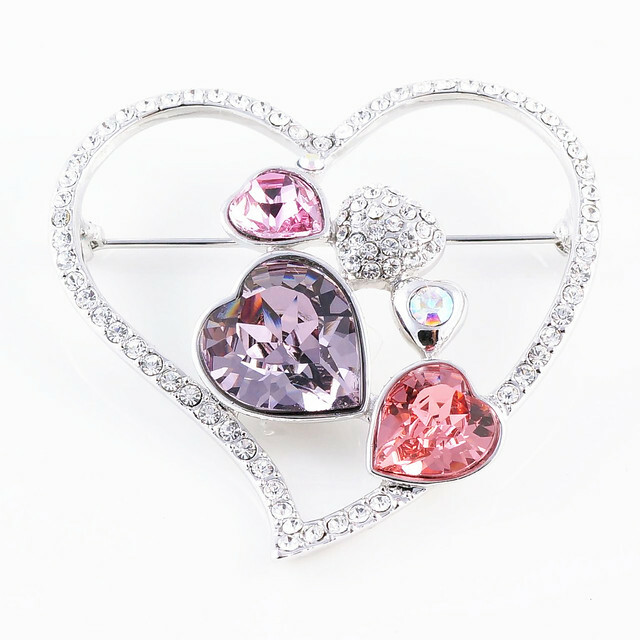 High quality 18k white gold plated brooch with Swarovski crystals. Thin heart shaped white crystal crusted frame surrounds 5 smaller solid hearts, three of which are inlaid with Swarovski crystals in dark magenta and pink.